“In the ‘ 90s I was involved in bike racing bike until my second year of high school. After that my studies limited my available time for training but after graduation from University and getting settled in my professional life I decided to start riding again. 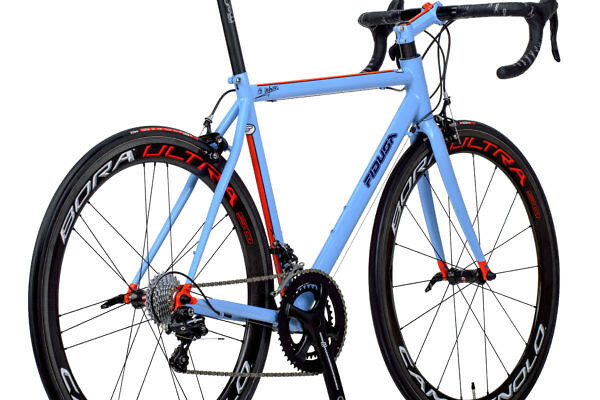 During my earlier racing years I had always dreamed of getting a Fidusa bike, handmade-to-measure with a custom paint job. 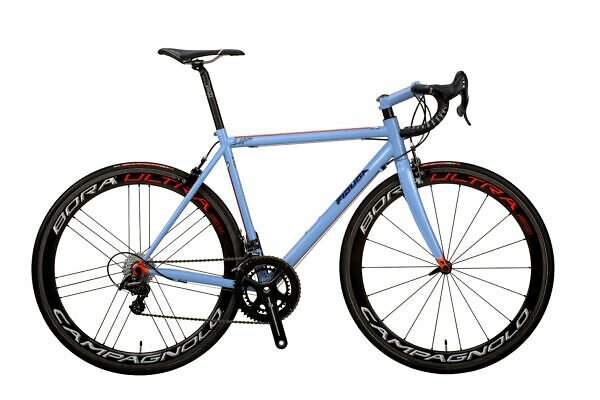 Now with more free time I contacted Mr Voyatzis about a custom frame and we decided on a Cro-Moly road bike with Capagnolo components and wheels”. 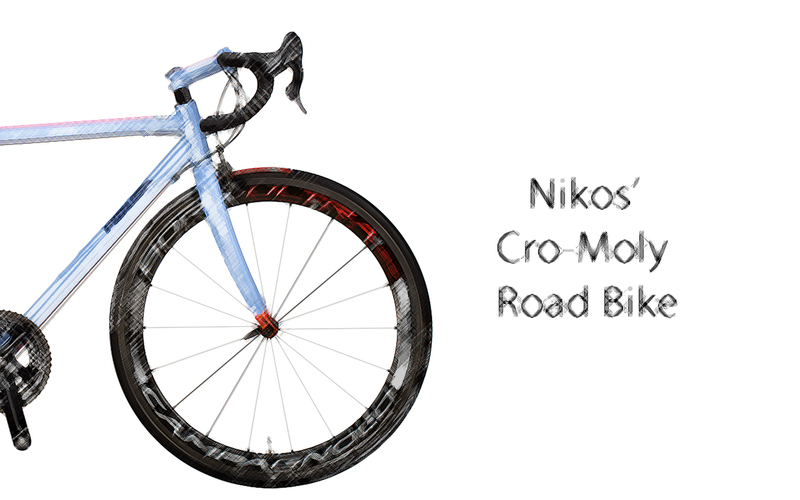 In his younger days, Nikos competed with an aluminum bike and more recently for a time tried some bikes with modern materials, but he seemed to like the idea of building a modern steel frame with Columbus MegaTube tubes, TIG welds and carbon fork. 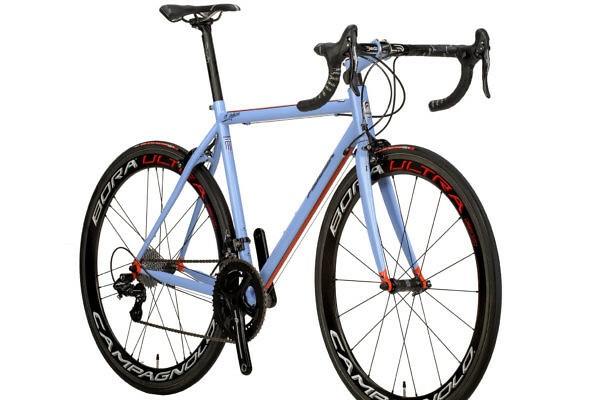 His chosen colour scheme of lilac frame, fork and stem with bright orange lines and the dropout painted in the same color gives an impressive result. 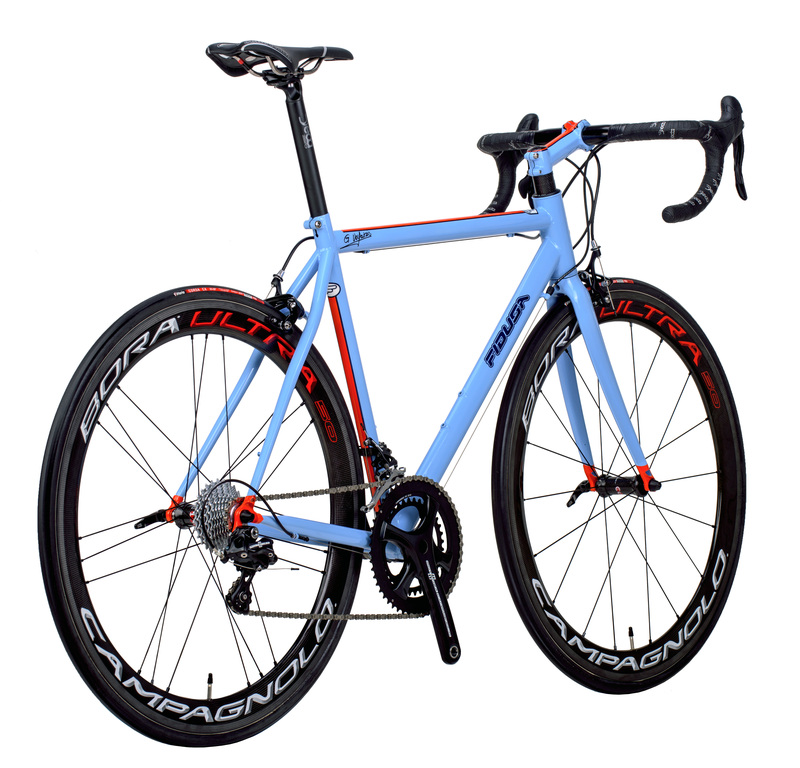 A wide line in a bright orange running along the stem, top tube and down tube terminates with Columbu, Campagnolo and Fidusa decals at each line end. For the final build we decided on a Campagnolo Potenza 2 x 11 speed groupset and Campagnolo Bora wheels. 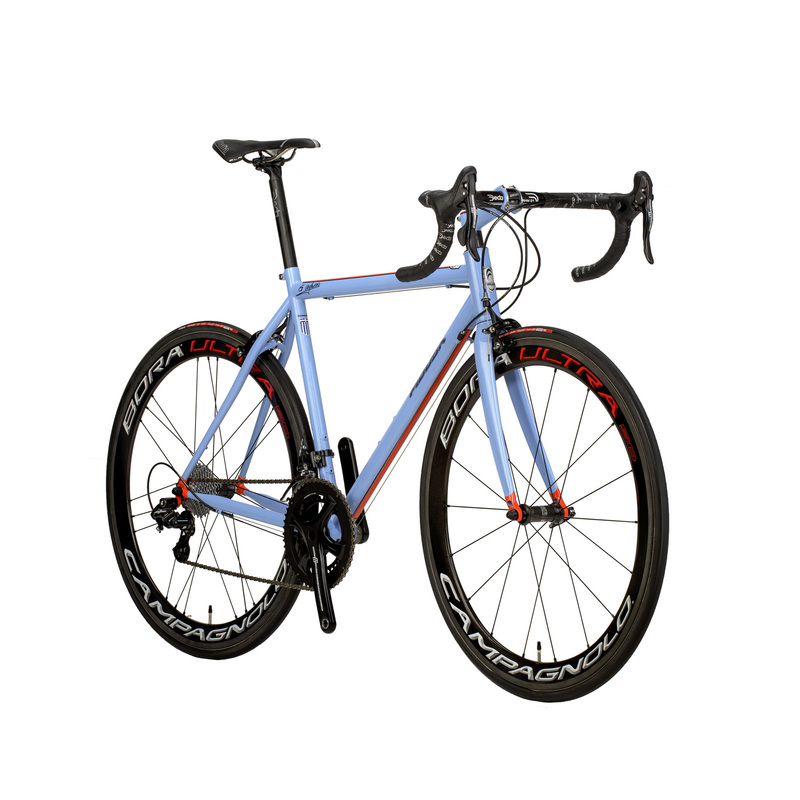 Nick was very impressed with the quality of the finished bike and its overall low weight. Frame weight (indicative) 1850 gr.